Two weekends ago we went on a blogger field trip to Marshfield Ice Cream. Who doesn't like ice cream? No one, that's who. On a grey day Bristol Bites, myself and Wuthering Bites plus Rich and Mr WB left Bristol for Bath thinking we could just get a taxi to Marshfield Farm. Well you can it will just cost you a packet, even if your taxi driver knows where he is going, which ours did not. I know there are benefits for owning a car and this is certainly one of them, but although the ice cream is good, I am not going to buy a car just to travel there. Next time I am calling upon my mum's driving services, cos that is just how rock and roll I am. 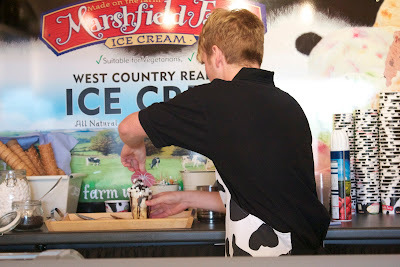 Marshfield Ice Cream owners Will and Dawn Hawkings invited us into their gorgeous kitchen to discuss all things ice cream. From humble beginnings starting out making 8 litres of ice cream per hour, 20 or so years later they can now produce 1500 litres every hour. What was really on all our minds was the ice cream itself. Dawn led us into their ice cream cafe and shop to sample the goods. 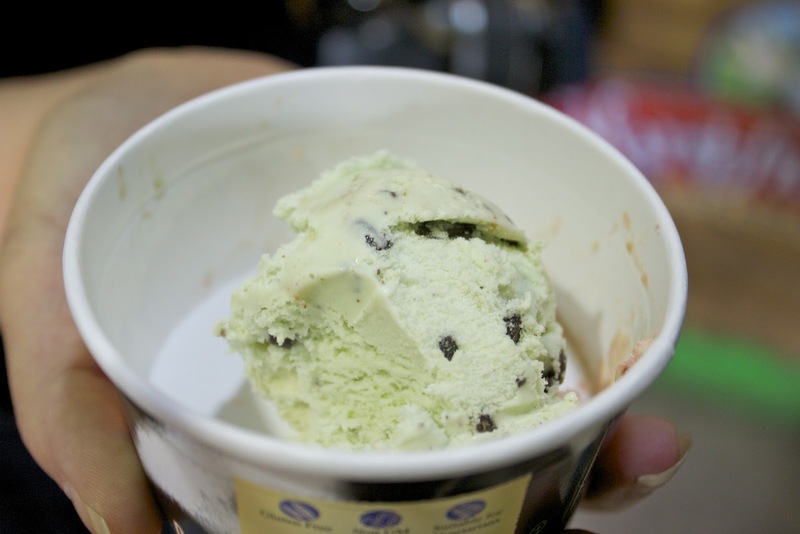 All the ice cream is 60% organic (from their own milk) without any artificial flavours or colourings which is always a good sign. 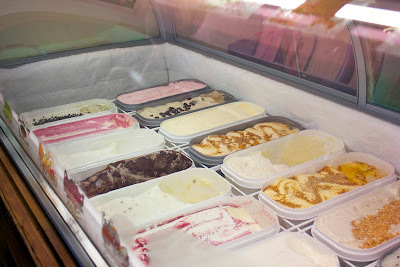 We decided to sample the back row of ice creams then take a tour of the mini factory before coming back to sample the other 11 flavours in the parlour. 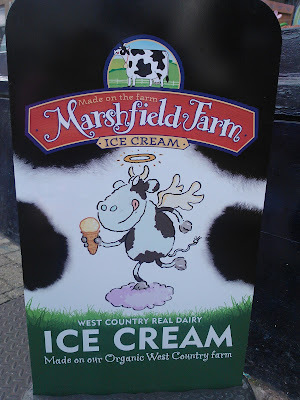 The first ice cream we tried was the Clotted Cream Vanilla, and frankly it was one of my favourites. Simple flavour, but the most creamy and luxurious vanilla I've ever tasted. I could tell this was going to be a tough test to try and come up with a top 5. 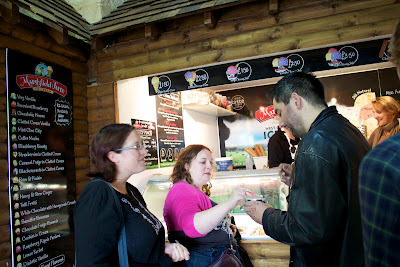 Also luckily for Wuthering Bites only 5 of the 22 ice creams we sampled had gluten in, although Dawn remarked she was working on getting that number down to even fewer. Our tour of the factory was an eye opener, actually quite a small space considering the levels of deliciousness that are produced from it. We also got to experience the extreme cold of their giant freezer, around -25 don't you know, enough to freeze the ink in biros, hence all the pencils around the place. Keen to get back to the tasting we polished off the second row of flavours. I cannot commend the honey and stem ginger enough, I am a bit of a ginger nut as it is, but seriously this was incredible. 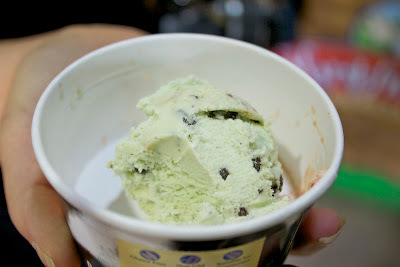 Also pleased that they had coconut as a flavour, it makes a fragrant and different ice cream that I particularly enjoy. 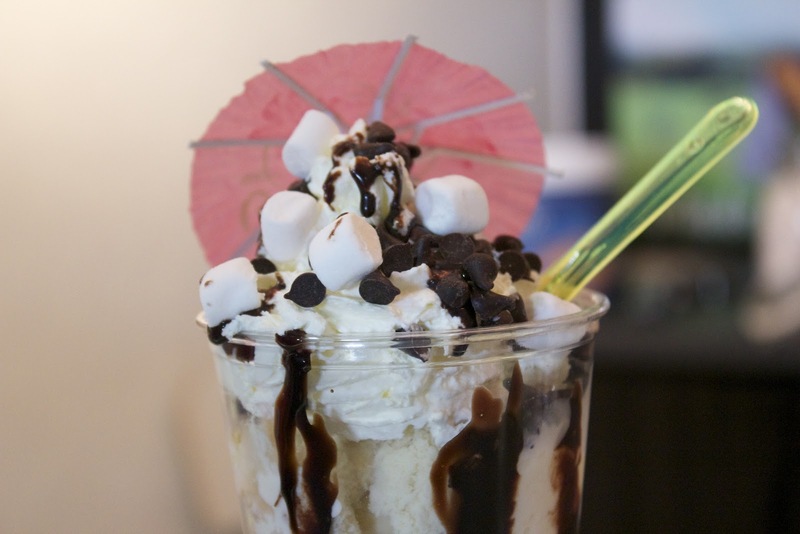 As if we hadn't eaten enough ice cream, sugar nut Rich was offered to make his own sundae up from his favourite ice creams, he was very happy indeed. What is wonderful is how enthusiastic they still are about their business after 20 years, and it's hugely infectious, I returned home feeling all pepped up about ice cream and thinking about new flavour combos, my offering is apple and cinnamon, by the way. So when Marshfield opens it's shop again in Easter go along and pick yourself up a tub of deliciousness, plus by next year who knows what new flavours they will have. In the meantime check out Marshfield's website for stockists of their ice cream. Thanks to Wuthering Bites for the photos, whilst my phone was getting stitched up at the phone hospital. 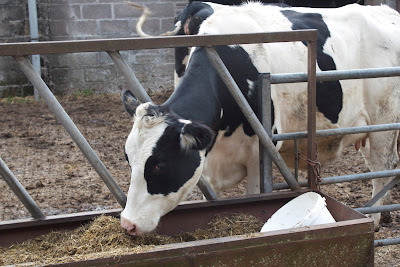 Read her post on our visit here. Claim FREE satoshis at Easy Bitcoin Faucet. Up to 33 satoshis every 10 minutes.